Pleckgate High School’s Class of 2018 celebrated their success at their Awards Evening – and were inspired by special guest Dr Claire Burke. Claire is an Astro-ecologist and has won awards for her work using heat seeking drones to differentiate and track rare and endangered species. She told the students about her journey to her current job at Liverpool John Moores University, which took her to Runshaw College, to a degree in Physics with Astronomy, a PhD in Astrophysics and then a research job in South Africa, onto the Met Office and now her current work, stopping poachers. “It’s great to be here talking to students who are beginning the next step of their journey and who could change the world,” said Claire. Head Boy Umer Patel won a number of awards on the night including the Technology Award for Achievement and Services to School Sport. He earned a prestigious apprenticeship with Bae Systems during his final year at Pleckgate. “Pleckgate gave me firm foundations to take my next step, it helped me demonstrate my academic strength and build my confidence,” he said. Shabir Shinwary won the Commitment and Perseverance Award. 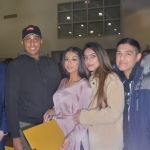 He arrived in Blackburn as a Year Nine student unable to speak English but through hard work and dedication he managed to achieve a Grade 4 in English Language, alongside other strong results. Sanaa Surgeon was presented with The Chair of Governors Award for her contribution to school life at Pleckgate. She was on school councils, she was a positive ambassador for Pleckgate and a role model for students. 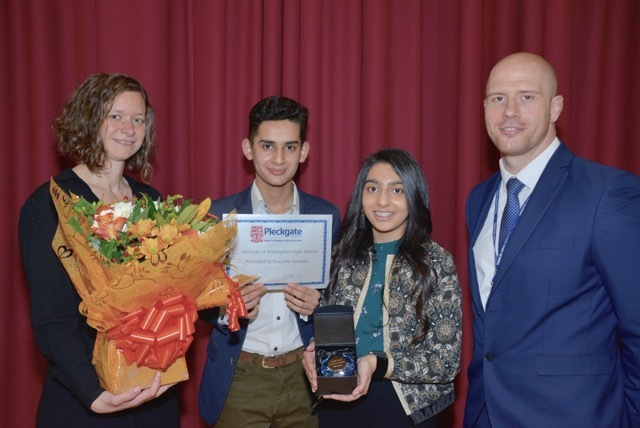 Jaward Hussain won the Headteacher’s Award for his positive impact academically, including one Grade 9 and two Grade 8s, and his role as a senior student leader, where he demanded perfection. 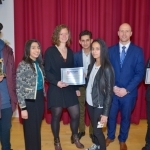 Finally the Education Partnership Award for a Positive Contribution to the Community was presented to Huzeffah Ashraf who represented the schools at public event, civic ceremonies and went beyond his remit as Deputy Head Boy. Headteacher Mr Cocker said: “We are so proud of our Class of 2018, they enjoyed a terrific set of results and the progress of these students was above average for the fourth year running at Pleckgate. “There were outstanding results in subjects and individually but it’s about more than just results, it’s about sporting achievement, work in the community and contributing to school life in their five years at Pleckgate.